The winter months are the worst for your lips. They’re always so dry and chapped. I don’t know about you, but it drives me crazy! I keep chapstick everywhere – my purse, by my bed, in my makeup drawers, in my car, and on my desk at work – so that I never go without being able to moisturize my lips. Blistex was always my go-to, and I still keep one around, but last summer I received a Jersey Shore Sun Mongongo Lip Conditioner in Green Orange. Their lip conditioners are all-natural, organic, non-GMO, and nutrient dense. At first I wasn’t crazy about the formula, but it grew on me quickly. The summer is also tough on lips, and when I did start to use it, I was so soothing and moisturizing. I didn’t have to constantly reapply it like other chapsticks or lip balms. Last month I accidentally sent mine through the wash, and it was ruined. I was so sad because it’s the middle of winter and I couldn’t find these anywhere. So, I went on their website and ordered some new ones – Blackberry and Vanilla Coconut Cream. I am even more obsessed. Just like the Green Orange, they’re moisturizing, soothing, and smell so good. They’re only $5.50 on their website, and for the quality of lip conditioner, I would pay that any day. 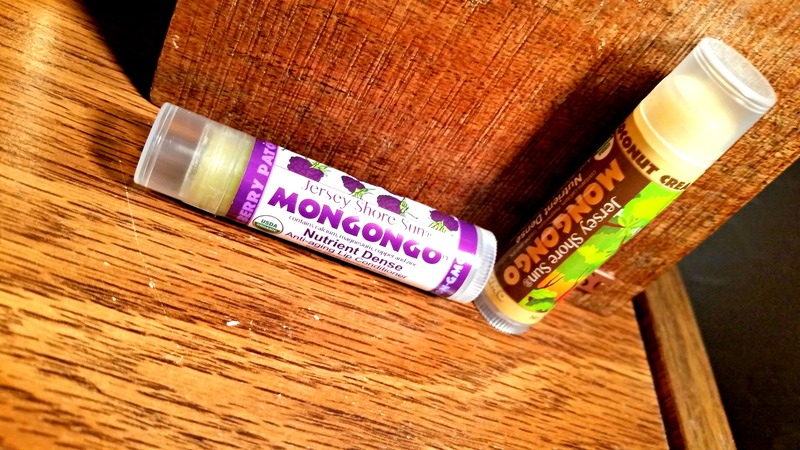 If you’re looking for a natural, organic lip conditioner to make your lips hydrated during this brutal winter, you can find them here –> Jersey Shore Mongongo Lip Conditioners. Recently I have become a little obsessed with lip products, and these are good to moisturize before putting on lip colors. What other products or tips do you use to make the perfect lip?